Michael Symon is probably one of the little more well-known chefs in my book. (Ok, let's be honest, he's probably THE most well-known chef in my book.) And that comes as no surprise since he's been a national culinary icon for many years now. 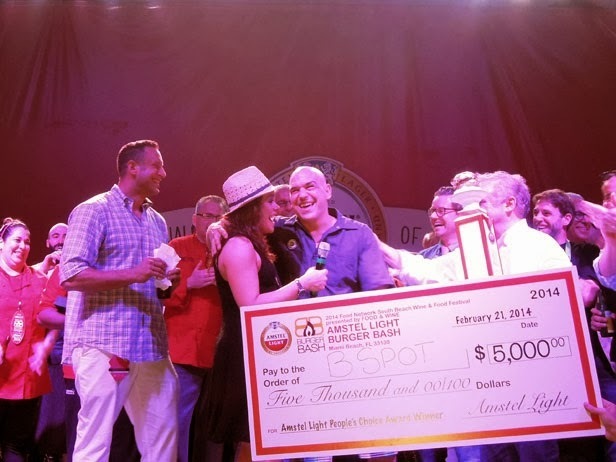 What also comes as no surprise is that he and his talented B Spot restaurant team recently beat out more than 25 other chefs from across the county for an unprecedented fourth "People's Choice Award" at this year's popular Amstel Light Burger Bash held in Miami Beach, Florida, as part of the prestigious Food Network South Beach Wine & Food Festival. "The B Spot team knew that competition would be fierce," says Michael. "So we went back to our roots with the 'Fat Doug,' topped it with delectable Castello Creamy Havarti cheese, and produced a truly delicious burger. Winning [this award] for the fourth time was a thrill and an honor!" Michael's iconic winning entry, which actually made his B Spot eatery quite famous, is more accurately described as a "meat-on-meat" burger. How so? But perhaps even more pressing, what exactly makes this burger so incredibly special? Mix all slaw ingredients together and refrigerate for one hour. Mix all the meat together really well and form into four equal size patties, season with salt and pepper. Grill the patties over high heat, 3 to 5 minutes per side. Put 4 piles of pastrami in a pan over medium heat. After 2 minutes, top each pile with a slice of Castello® Creamy Havarti cheese, remove from pan when the cheese has melted, set aside. Pour butter into the pan. Toast buns—cut sides down—for about 2 minutes or until toasted to your liking. 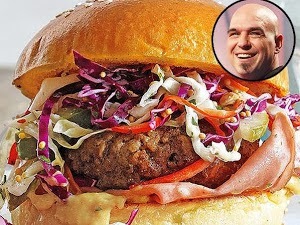 Place slaw on bottom half of bun, top with burger, pastrami and cheese, then cover with top bun and serve.